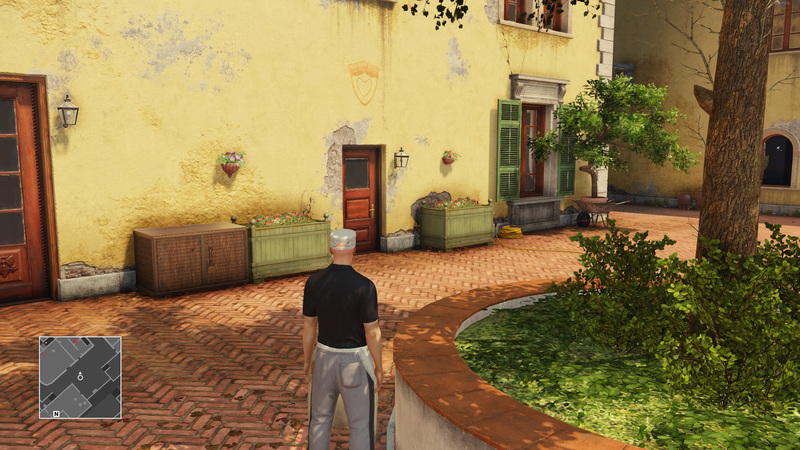 Get a Silent Assassin rating on the Congressman, an elusive target in Hitman. With its Game of the Year edition, Hitman has decided to let new and veteran players take another crack at its elusive targets. These targets pop up in-game for only a short amount of time, and players get one shot at killing them. Succeed and you might work towards some nifty suit unlocks. Fail, though, and you probably won’t ever see that contract again. 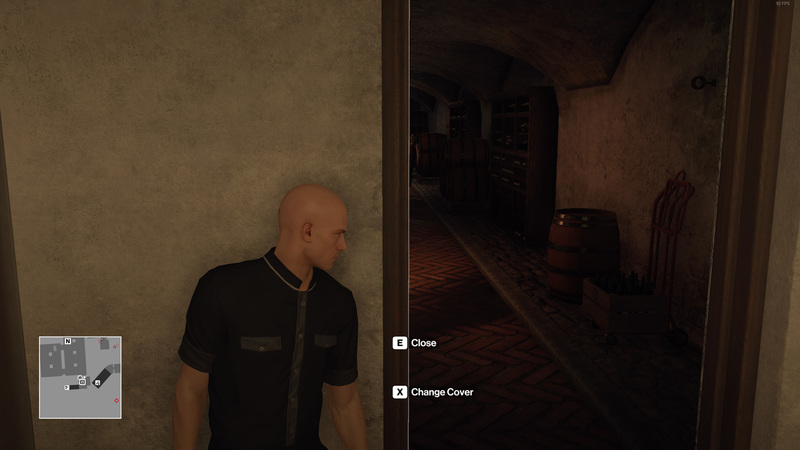 It can give players a bout of anxiety knowing that failure is so easy, which is why I’ve put together a strategy to kill Hitman’s second elusive target, the Congressman. Your loadout for getting the Silent Assassin rating on the Congressman is quite simple. 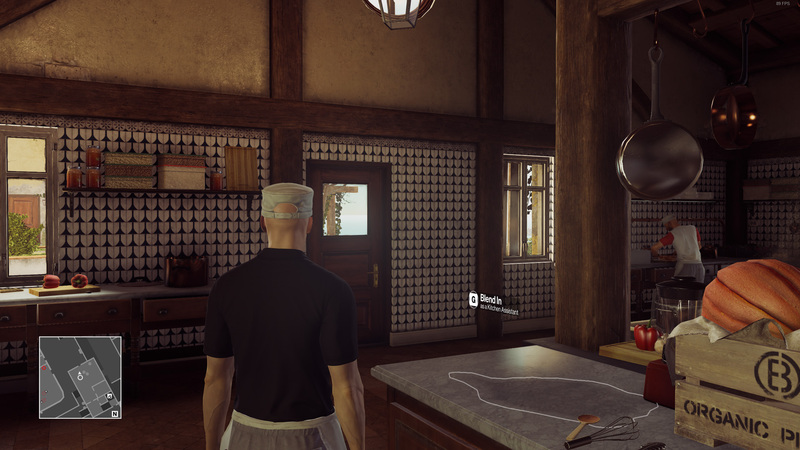 Players will want to start Undercover in Mansion Kitchen, which will give them the Kitchen Assistant disguise by default. You don’t need to smuggle anything or bring any type of concealed weapon. Just bring the Lethal Poison Vial and your Coins. The Coins are likely not necessary, but it doesn’t hurt to have them in case you bump into some random NPCs. Skip the cut scene as you load into the level and immediately stop blending in. Exit the kitchen using the door on your left. As you pass through the door look to your left and locate a single door to the right of some double doors. Head through the single door, turn right, and proceed down the stairs. At the bottom of the stairs will be the Housekeeper disguise. Change into that and go through only door in the room. As you pass through the door you’ll see a barrel on the right side of the area. On that barrel will be a glass. At some point during his rounds, the Congressman will drink from that glass. You need to approach it and use the Lethal Poison Vial on it without anyone seeing you. There will be at least one NPC in the area, so you may need to distract or subdue him before you give it a shot. Luckily, there is a bin in the room where you picked up the Housekeeper disguise. 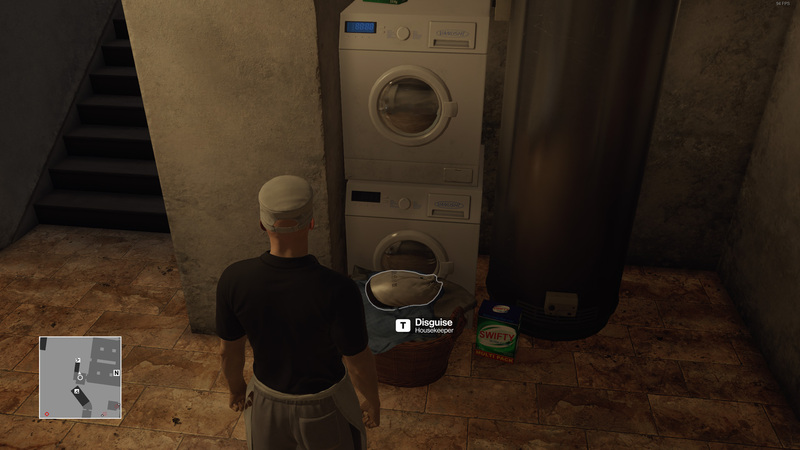 If you don’t see a chance to poison the glass, lure the NPC into the laundry room using your Coins and subdue him. Hide the body in the bin. This should provide you an opportunity to poison the glass. Remember, if you get spotted at any time during the contract, either by NPC or camera, you no longer hold your Silent Assassin rating. Restart the mission. If you haven’t died, and the Congressman hasn’t died, you can restart and try again. Even if you’re spotted as you try and poison the glass, restart and have another go at it. It may take several minutes (18 and two trips to the wine cellar for me) for the Congressman to drink the poisoned wine, but he will. Your work is done, though, so exit the mansion and head out through the front gate. Turn right when you reach the town square and there will be a vehicle you can use to exit. It won’t show you the option until the elusive target dies, so just be patient. Nobody will spot you in your Housekeeper disguise there. 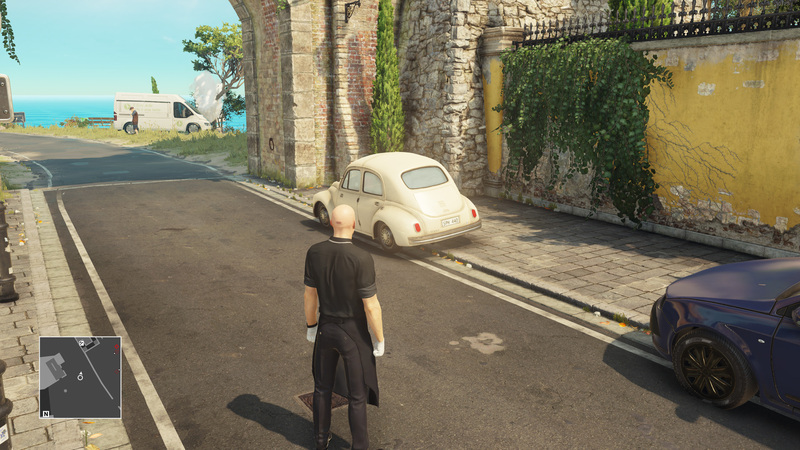 It’s also worth noting that because a poison kill in Hitman is considered an accident, you don’t have to worry about hiding the body. Nobody knows you did the dirty work because nobody saw you poison the glass, right? As far as the NPCs are concerned, the Congressman died for unknown reasons and of course his body would be there. It’s nobody’s fault, so you’re free to leave the contract without hiding the body or worrying that someone saw the Congressman die. If you’ve followed this guide you will have eliminated the Congressman and received the Silent Assassin rating for you trouble. He is Hitman’s second elusive target, but there are many more to go. Be sure to check back when the next elusive target goes live and find out how to dispose of that fool too.